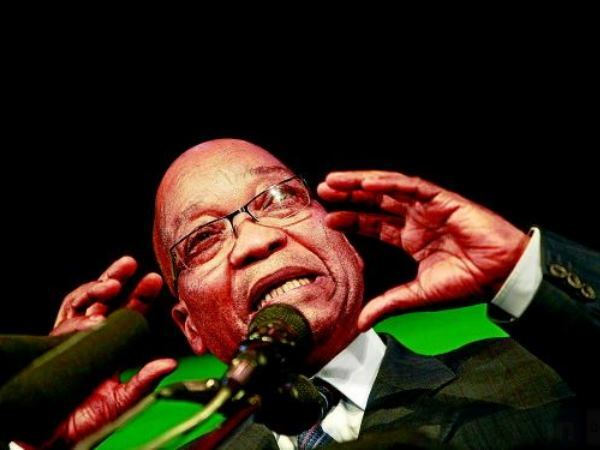 President Jacob Zuma on Wednesday admitted that the ANC had been shaken and was in trouble. "The youth league has been shaken but also the mother body has been shaken," he told delegates at the ANC Youth League consultative conference in Soweto, Johannesburg. "We admit that the organisation is in trouble." Zuma was referring to discussions held by the African National Congress's combined national working committee and national executive committee meeting on Tuesday. "I can guarantee you that if everything goes wrong with the ANC, everything will go wrong in this country. There is no doubt about it." Zuma urged youth league members to defend the African National Congress. Before Zuma arrived, delegates sang songs praising the president, "lead us Zuma", they sang in isiZulu. When he entered the hall the ANC Youth League delegates cheered and started to sing "Umshini wam" (bring me my machine gun). The ANCYL conference was meant to be the league's elective conference but the national task team (NTT) announced on Tuesday that delegates would no longer elect new leaders. Task team co-ordinator Magasela Mzobe said the elective phase was planned for 2015. It is the second postponement of the election of new leadership after the elective congress was originally scheduled for September 24 to 28. Mzobe said this week's consultative forum would deal only with political, organisational, and functional reports, and would have commissions dealing with policy documents. The NTT was put in place last year after the ANC took the decision to disband the ANCYL NEC. A number of delegates attending the conference were upset that elections for new leaders would not be held. A group of delegates from Gauteng become rowdy, booing some ANC leaders and the fact that they would not be voting at the conference. During his address Zuma explained to the conference that the ANC had taken a decision to convert the youth league conference from an elective one to a consultative one. "We did not want to have the same results of the last conference," he said referring to the chaotic 2011 conference where former ANCYL leader Julius Malema was elected for a second term. "It would not have been good for the ANCYL and the broader movement." There had been many disputes and challenges leading up to this conference. "As we met [with the NTT] to discuss, and they were reporting to us, we were not convinced that we would be very far from the last conference. "We [the ANC] said to the NTT we can not allow you guys to go on." Zuma said if the ANC had allowed the elective conference to continue this week as scheduled it could have led to the ANCYL being disbanded again. He urged delegates to use the consultative conference to rebuild itself. This decision was taken for the sake of the whole movement. Zuma said delegates became "too excited" when it came to electing leaders instead of focusing on policy issues. "Comrades it was very logical therefore to convert this conference to be consultative, partly to give ourselves time to reflect and really look at how we move forward from here." He said the decision was the correct one to take. "You might feel perhaps as an individual or a group this is not correct and if that's the case you not putting the organisation first. "We are here today, we'll not be here tomorrow... but the ANC will. Let's put the ANC first," Zuma said. The ANC's message to the conference was "redeem the integrity and stature of the ANCYL in society". Senior leaders of the ANC attended the league's conference, including two former ANCYL presidents -- Home Affairs Minister Malusi Gigaba and Sport Minister Fikile Mbalula. The party's Secretary General Gwede Mantashe, his deputy Jessie Duarte and ANC treasurer Zweli Mkhize were also in attendance.